To help thousands of home buyers get possession of flats in stalled Amrapali housing projects, government-owned National Buildings Construction Corporation (NBCC) plans to deliver 2,643 flats in a year. NBCC is committed to start work from February 8. 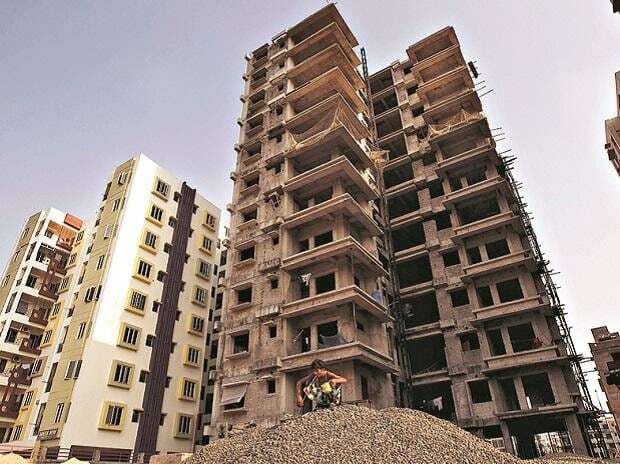 According to a report by TOI, the decision has been taken after NBCC officials met with M L Lahoty, the lawyer representing homebuyers, and finalised a blueprint to start construction on various housing projects where more than 46,000 buyers are awaiting promised flats. How will NBCC end homebuyers' 10-year-long wait? In the first phase, NBCC will take up three housing projects that were launched by Amrapali in 2011. The projects are - Sapphire I and Sapphire II in Noida and Castle in Greater Noida. The project will cost up to Rs 77.54 crore, in which, 2643 flats would be handed over to homebuyers. NBCC will then work on Dream Valley and Centurian Park projects after funds are generated. Once the work on this project begins, within a year, 679 flats will be handed over to homebuyers. Earlier, the Supreme Court (SC) on January 16 indicated it might allow registration of units in Amrapali projects that are yet to receive completion certificates in Noida and Greater Noida. The top court said it might invoke powers of extraordinary jurisdiction under Article 142 of the Constitution to direct for registration of the flats. In December, the forensic auditors were ordered to trail the Rs 3,000 crore of homebuyers' money realtor Amrapali has admitted to diverting. The order came after Chief Managing Director Anil Sharma told the court the company diverted Rs 3,000 crore of homebuyers’ money to expand itself. The forensic audit of embattled Amrapali Group revealed that posh flats were booked on sums as low as Re 1, Rs 5 and Rs 11 per sq ft in the name of over 500 people. The two forensic auditors issued notices to 655 people on whose names 'benami' flats were booked but no one was found in 122 such locations. Last year, Amrapali Group had to bear the brunt of the apex court for taking for ride ordinary citizens whose hard earned money was at stake.